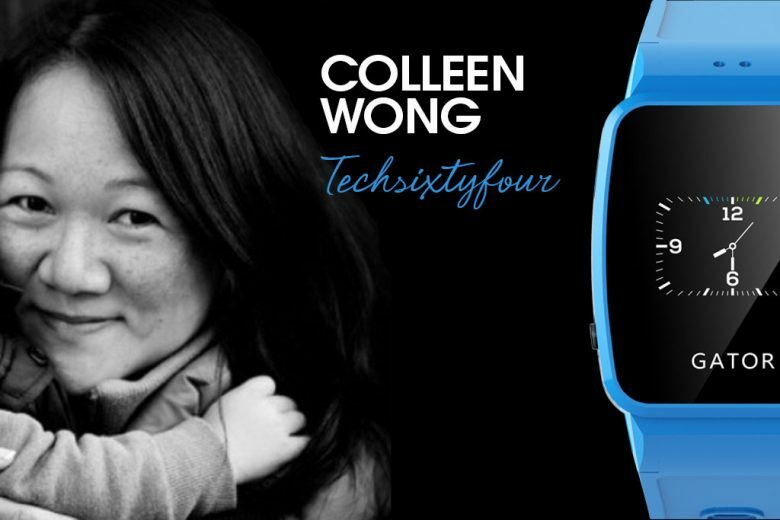 Find out how a lost child inspired former banker Colleen Wong to develop the Gator watch, a wearable tracker for children. I held the position of Vice President in sales at two large investment banks in the UK before calling it quits in 2013 to have a family. I have an MBA from INSEAD. I could not return to investment banking after having my children as the hours are not child-friendly and also I was just not passionate about banking. My dream after having my two kids was to be able to do run a business that I love while also being there for my kids when I want to be. Where did the idea for Techsixtyfour come from? After hearing that a little boy was lost at Bockett’s Farm last year, I just couldn’t help but think there had to be a better way to deal with such stressful situations. Being a mum gave me that push to find a product that would let me stay connected with my kids. This is how Techsixtyfour started. I just started with Google. I found manufacturers in China who did variations of the product and I picked up the phone. I speak fluent Chinese so that made the initial discussions much easier. But I just take it a step at a time and if I have questions or need to understand something better, I just find someone in that area of expertise and I call or email them. 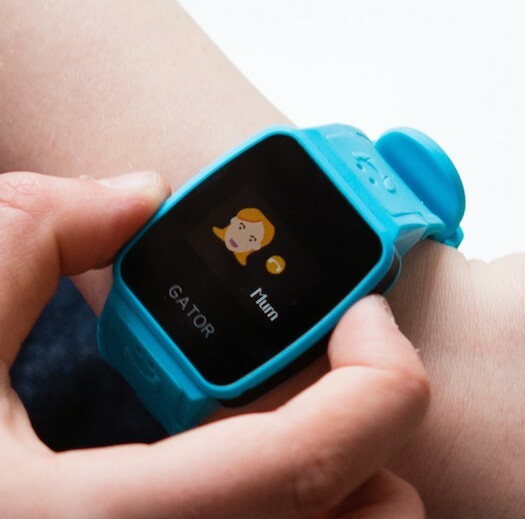 There is very little competition in the UK in wearable mobile phones/trackers for children at this time and although this will quickly change, I will be one of the first movers. I stand out from my competitors because I am a mother who has started this business because I am extremely passionate about the benefits this product has for parents. I am also the first children’s wearable now to be represented by a Fortune 500 tech distribution company which will bring my product into retail outlets much quicker. Parents and guardians of 5-10 year old kids. I wear the Gator watch everyday and tell everyone I see or meet about it. I also use all forms of social media and I write a blogs and newsletters. 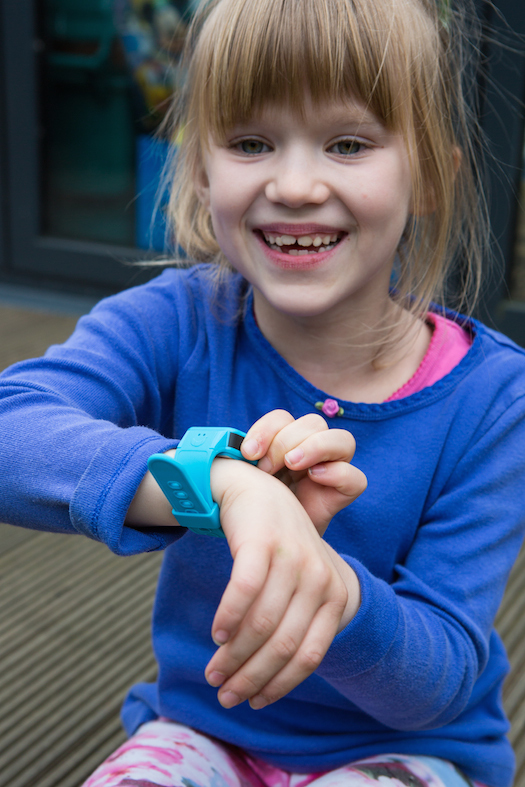 I have also exhibited at the Wearables Technology Show in March and at the Gadget Show Live in Birmingham where I had huge interest from the press, retailers and parents. I posted this on Facebook and it has been seen about 45k times. I am a big believer in video posts and will look to do more videos on social media going forward. Creating awareness about the product has been a big hurdle and is still one I work on everyday. Even though the product is a mobile phone and something everyone knows about, when packaged as a wearable, it becomes a brand new technology that takes time to understand. My challenge is to explain the product to parents in a quick but effective way. Once parents know how it works, they are usually very impressed and fascinated! The proudest moment for me is when a parent emailed me to say how much she loved the Gator watch and how it encouraged her child to be more active outdoors. When parents write to me to tell me how great the product works, I have the biggest grin on my face for days! It is not really work that is important but doing something which I feel is making a difference somehow. With the Gator watch, I am encourage young kids to be more active and at the same time giving parents greater peace of mind. I actually don’t see what I do as work because I love it. In the past I never wanted to get up for work or work late but I always do it now. I am also learning about something new everyday as I have no experience in the tech industry or in marketing or social media but this keeps me energised. I also find it extremely useful to learn about technology because I need to keep up with my kids when they are older! Every entrepreneur inspires me. It is really hard work and reading about how entrepreneurs fail and succeed motivates me to keep going and to keep trying. It is a juggling act and I am an amateur juggler. I think and strategize a lot while I am pushing my kids in the park in the pram and execute the ideas when they are asleep. I do have help two days a week and this gives me the opportunity to meet with and potential business partners and to make important phone calls. If you have an idea, do some research. Don’t think ‘I can’t be bothered’ or ‘someone else has probably done it’ or ‘I have no idea where to start’. The hard part is getting the idea. Once you have it, just use Google and pick up the phone! Embark on something even if you have no experience in that field. Learn. Read. Ask friends. Ask everyone you can find. We have so many resources available to us and we have no excuse about not being able to learn about anything we want to learn about. Reply to emails and phone calls quickly. Too many people sit on emails and end up returning calls after days or weeks because they were caught up with other things but stand out from the crowd by being efficient. You can find out more about the Gator watch on the Techsixtyfour website.